Two for Tuesday - our time to pass along the two websites that caught our attention this week. We hope you enjoy these links and encourage you to visit these sites. The best compliment that you can provide to a photographer is - 'Your images moved me...' Bob, your images should move a generation of individuals. Whether it's laughter or, whether it's tears - your photography carries the power of your family's story, and helps each of us to relate to that story we hold dear about a loved one fighting the battle of breast cancer. This Brooklyn photographer began The Tutu Project in 2003 as a way to express himself but it swiftly moved into an expression of his wife Linda's battle with breast cancer. A quote from his web page for the project hit a chord that we can not go without sharing, "...her cancer has taught us that life is good, dealing with it can be hard, and sometimes the very best thing - no, the only thing - we can do to face another day is to laugh at our ourselves, and share a laugh with others." 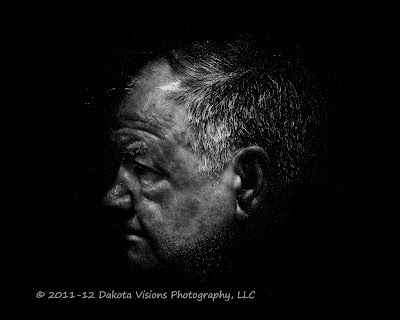 We highly encourage you to check out his amazing photography and share this project with others. This French borne artist caught our eye recently because of her Photo Workshop, "Experience Paris Through Your Lens" coming in October. We have recently been looking around for a 'work-cation' to head back to Europe for, and we definitely have her listed as one of our options. Now we just have to wait to see if it's a tax 'return' or a tax 'empty-your-pockets' type of year! 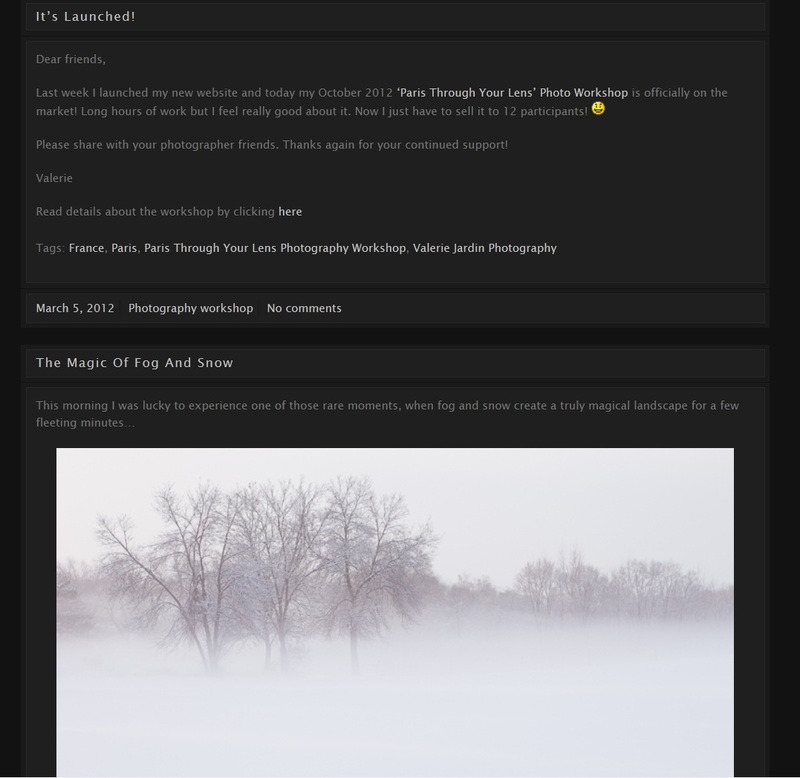 Valérie originally caught our attention as a guest writer for Digital Photography School's website and it was enough that, we began to look at her original work. Her blog is full of 'Interesting Faces' and 'Bigger than Life' images. 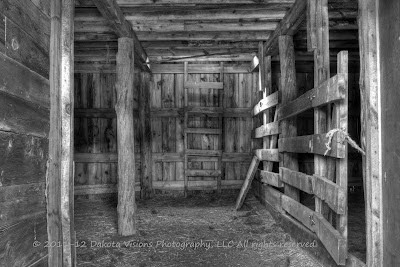 The images that most struck out at our heart strings, were from "Traveling back to 1860 farm life in the Midwest..." The sepia-toned series from a working farm brought us back to times of simpler life, and memories from the farm. We hope you delve into her blog and photographs, check out her international photo workshops, and become a fan of hers, as we are now. Keep up the great work, Valérie! Lincoln and Leering?! 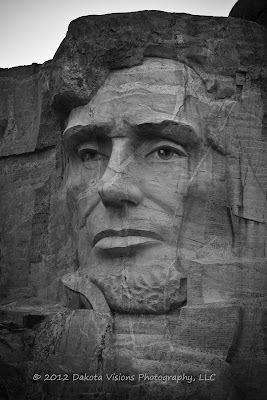 No, it's not a presidential joke that you haven't heard yet... Lincoln - living in the land of Mt. Rushmore and being a history major, Lincoln might be a bit of a cliche. 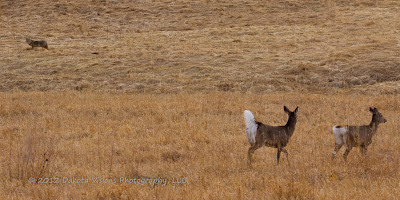 Leering - well, what does a hungry coyote do when he sees two deer crossing his path, he leers with malicious intent. We were on our way back from Mt. Rushmore and photographing Lincoln, when lo and behold we came across the second scene of a coyote in action. Our weekly photography challenge, photographing something representing the the letter 'L'. Mt. Rushmore National Memorial was finished in October of 1941 after four presidents faces were carved into the granite on Mount Rushmore. Mt. Rushmore features 60 foot sculptures of the heads of four former presidents: George Washington, Thomas Jefferson, Theodore Roosevelt, and Abraham Lincoln. President Lincoln is known for his exercising of unprecedented war powers during the Civil War, skillfully handling the Trent affair keeping the British from recognizing the Confederacy, issuing the Emancipation Proclamation in 1863, and promoting the passage of the 13th amendment abolishing slavery. He was assassinated in April of 1865. We hope you enjoyed our weekly photography challenge and we encourage you to join along with us next week as we find something in our photographs that starts with the letter 'M'. So what will it be? We just did Mt. Rushmore - maybe, 'many, mighty men'?! Stay tuned for next week's photography challenge! If you have a great photograph starting with the letter 'L', share it in the comments below with a link to your photo gallery, Flickr or Picasa link. In Part I of this series, we looked at a brief history, discussed basic equipment needed, and provided a brief overview of software options for HDR processing. In Part II of this series, we looked at the inner sanctum of Photomatix Pro , our HDR processing software of choice. 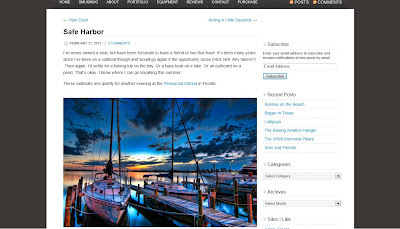 For Part III we will walk through the workflow that we use in processing bracketed images into an HDR photo, specifically, the 'Photo Finish - HDR' we are using as our blog banner this month. First of all, we need to make a disclaimer. This is not the process we use on all of our HDR images, but it's a good starting point to begin thinking about how an HDR workflow could work within your operating environment. In this instance, we specifically did not export to Photoshop, but used Lightroom for pre & post processing with Photomatix Pro. We choose to highlight this workflow, because after polling our followers on Facebook, we found that most use Lightroom for post processing. We wanted to stick with relevant examples for our readers during this part of the series. So focus on what is being done to the photographs - not exactly where it's being done at. We'll continue to discuss HDR processing in future articles. We are going to focus on what workflow we are using, not specifically what settings in this article. We could create an article on each of these sections with specific settings if we chose to - BUT let's look at the BIG picture first! There are a million books that you can look at to get more specific information, and we've listed those at the end of this article for your purchasing pleasure. Oh my! We had to choose this area to start with... There are so many different ways to import into processing software, but we'll start with some generals. We preview our .jpeg photos and dump the out of focus, blurry, wrong exposure, and those "OMG - Did I take that?!" photographs first from a "Photos to Import" folder that we copy our disk card(s) to. Note: We always 'copy' first - so you have the original photographs on the memory disk until you can verify all photographs copied to your hard drive without error. We also choose to keep both .jpeg and RAW versions of our photographs - don't ask, don't comment, it's one our little idiosyncrasies, ok?! LOL! After doing that, we open Lightroom and import from our hard drive folder, "Photos to Import" with some standard metadata, copyright info, keywords, and initiate an immediate backup copy to an external hard drive during the import process. This can all be handled in your "File Handling" and "Apply During Import" settings in Lightroom. After previewing three different brackets of the final 'Photo Finish - HDR' photographs within the Library Module of Lightroom, we choose a 3 exposure bracket to work with. Since we used our Canon camera, that bracket ended up being a -2ev, 0ev, and +2ev set using standard Canon AEB settings. Following standard procedure in our develop module in Lightroom, we correct the lens profile and change to the camera standard profile. After this, we apply appropriate noise reduction and sharpening for the photograph. We apply these settings across all 3 photographs equally. In this instance, we also applied some luminance settings for blue, purple, and aqua to help with the skies and color of the cars. Sounds simple, right? Well, it is - preprocessing is really only adjusting basic items that get you to a base setting before exporting to Photomatix Pro. When setting up Photomatix Pro, one option is to set up the Lightroom export function, and we highly suggest you do this. 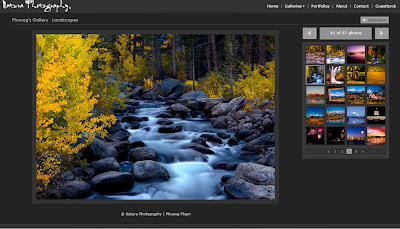 This automates the export to Photomatix Pro, rather than relying on dragging and dropping the photos into Workflow Shortcuts - Generate HDR functionality. While I know we said we wouldn't get specific on settings in today's lesson, we included a print screen of the settings we used during this export. One option you may want to think about is which color space you use in your workflow process - Adobe, sRGB, or ProPhoto and possibly the resolution, based upon where your final product will be displayed at. As discussed in Part II - here is where the magic happens. Let your imagination go wild, or get it as close to real life as possible. Experiment, experiment, experiment...have some fun, set it back to default a hundred times. 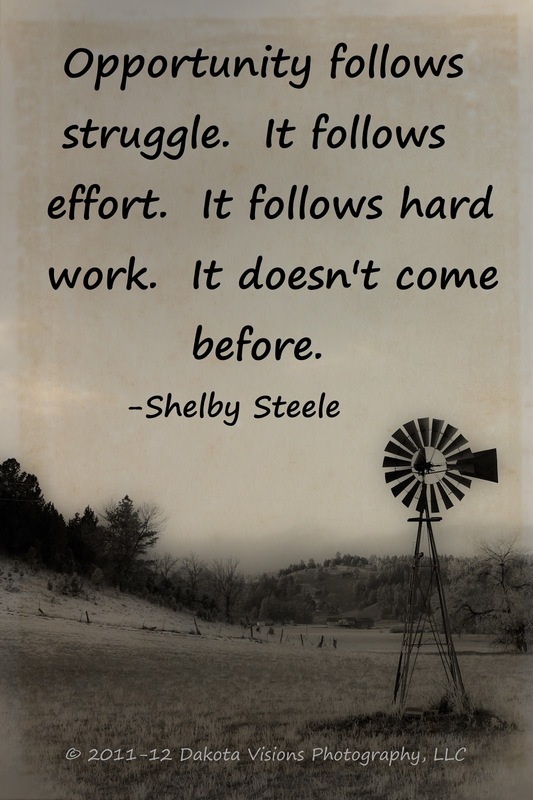 Find out what works for you - and stick with it. Then experiment again! It's best to adjust an image in a series of small steps (minimal adjustments) because the effects are cumulative. Remember, no matter how much you try to experiment, the worst thing that can happen is - you have to hit the 'default' button and start over. I promise - no one will get hurt when you experiment. When you are done, save the file and re import back into Lightroom. Even after creating your final compiled HDR image in Photomatix Pro, you will need to do some postprocessing. It is common knowledge that no matter what you do in Photomatix Pro, the resulting image is almost always flatter than desired. All the detail is there - the dynamic range - but the contrast will need to be adjusted. We need to make that final image with more depth and visual punch! As we stated early, there are a variety of ways to do this. You could possibly use Adobe Photoshop CS5 or Nik Software Complete Collection (specifically Viveza), but in this case, like most of our readers, we will stick to Lightroom. In the Curve Adjustment box in the Curves drop down menu there are several preset options including Medium and Strong Contrast that you could choose. None of these exactly worked on this image, so I just made my own small "s" contrast curve. What we also found was that the "whole" image did not fit the desired feel we were looking for, so we cropped the photograph into the 5X15 aspect ratio to achieve the final image of our choice. Two cars, fall foliage brightly lit by the sun, and beautiful contrast amongst the evergreens without the additional visibility of dead evergreen trees in the foreground and a lot more blue from the sky above. 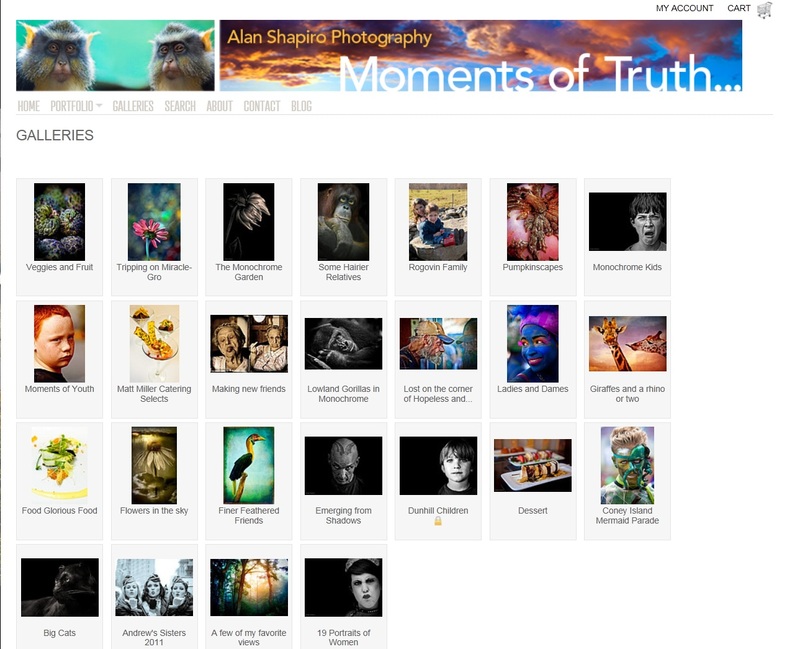 Alan's photography is quite eclectic, which caught our eye immediately when we noticed him on Google+ . From all the colors in his Finer Feathered Friends gallery to his black & white portraits in Emerging from the Shadows, we became hooked on his use of dramatic color and the opposite, the absence of color. He seems to have extreme control over both ends of the spectrum. And not to leave out you naturists, we loved his Tripping on Miracle-Gro series. (We have to admit - we are not quite sure whether it was the photographic take on flowers, including some that most of us would skip photographing in the series, or the absolutely eye-catching title!) 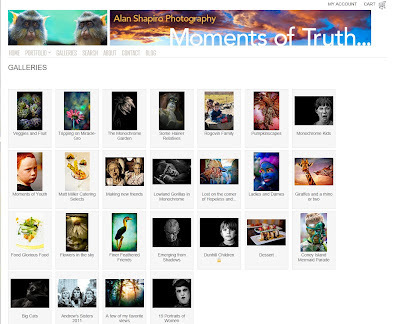 Alan's background in advertising and creative media definitely shows in his gallery. Hats off to Alan! 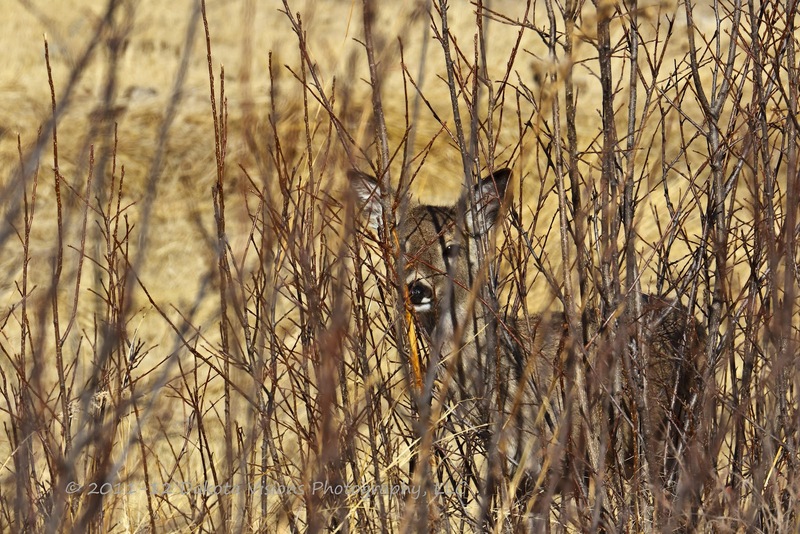 Steve Creek's photoblog is a trip through nature that can't be missed! Of course, we focus on nature and landscape artists, and Steve does not disappoint. 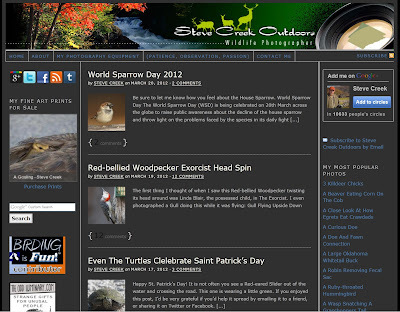 His site is clean, fresh, and easy to use including his secondary site, Birdtog. His articles are short, snappy and full of outdoor photographs. 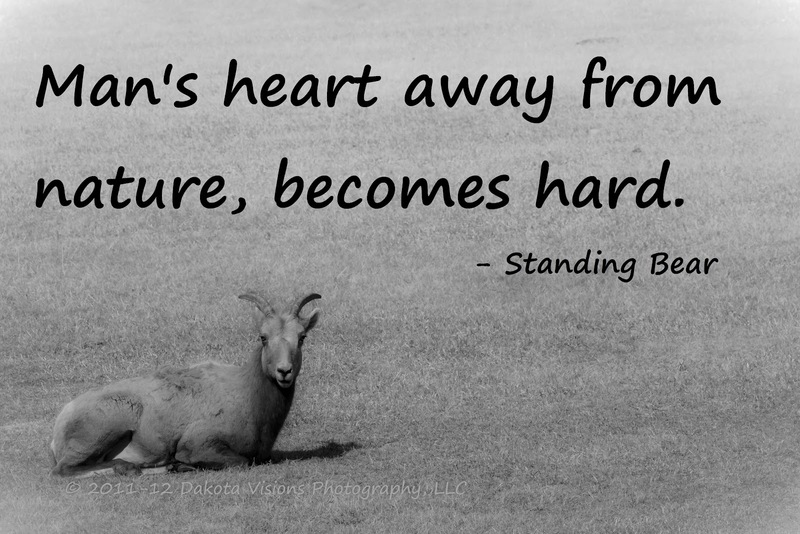 Anything from birds to beaver, egrets to elk can be found as a topic in his almost daily posting of photographs. No, I'm not cheating, the model just asked that his last name not be given...so, we'll just have to vouch that his last name starts with 'K'. 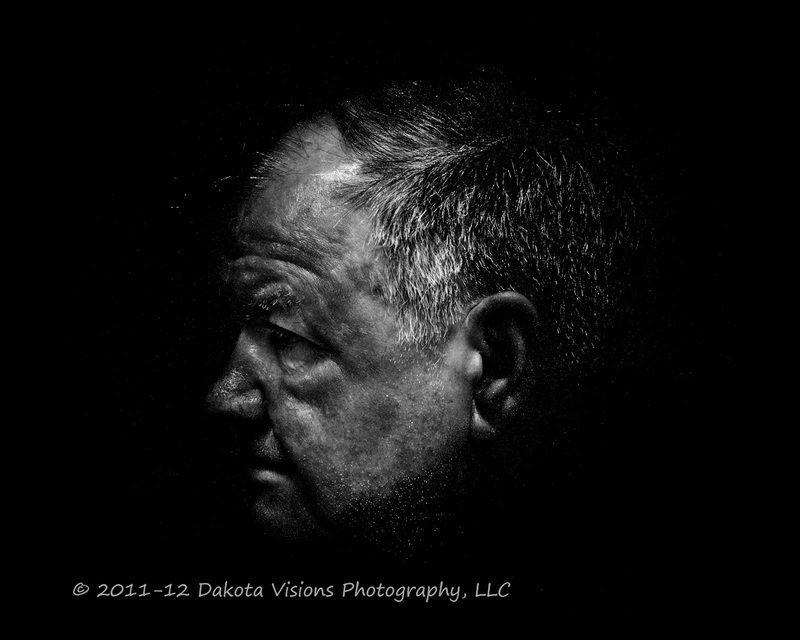 This challenge all started when we found a Google+ photographer's interpretation of an aging man, called "Ages of Man". We were able to find with a little research that he had posted an article how to create the image. 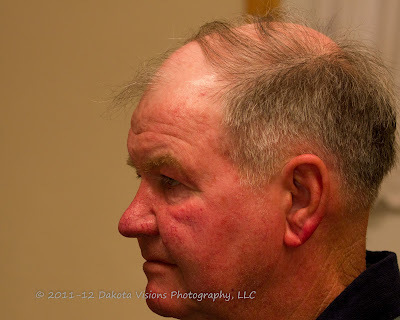 If you are interested, his Google+ page can be found here - Mike Shaw. PS - This is going to lead to an extremely interesting T4T post this Tuesday! We were intrigued by the stunning B&W photograph results from a seemingly innocuous photograph and we couldn't resist trying to recreate it for this week's challenge. The final result is located here - but we are a little disappointed in the results when dropping the size of the file image down to Facebook file size (generally we try to keep them under 2Mb) - it introduced some noise into the black that is not there in the original full size photograph. So we'll have to continue experimenting until we get it right at all sizes of files. And here is the original photograph - straight out of camera. So as you can see, dramatically different results from the same photograph with some post processing technique. A few quick notes that Mike left out of his article - remember that black is not the absence of color, but all the colors combined. It creates a large file in Photoshop. The computer processing time and power increase as the image becomes darker. We'll also try front lighting the next time we take the photograph along with stronger lighting so the ISO is down to either 100 or 200 to help alleviate the extra noise. And for artistic license, we would also have the model grow a little bit more stubble to create a very interesting effect from the shading. Mountain Bluebirds: The Sure Sign of Spring! The Bluebirds are coming! The Bluebirds are coming! Oh, wait - that was Paul Revere... 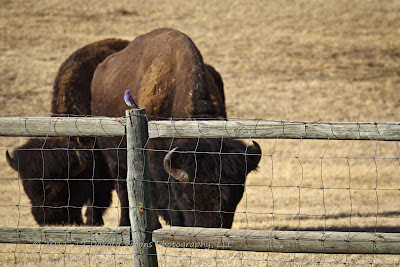 It is a sure sign of spring because the Mountain Bluebirds have made their way back to Custer State Park in the beautiful Black Hills of South Dakota. This last weekend, we had the opportunity to photograph the first of the bluebirds as they began occupying the man-made nesting boxes in Custer State Park. 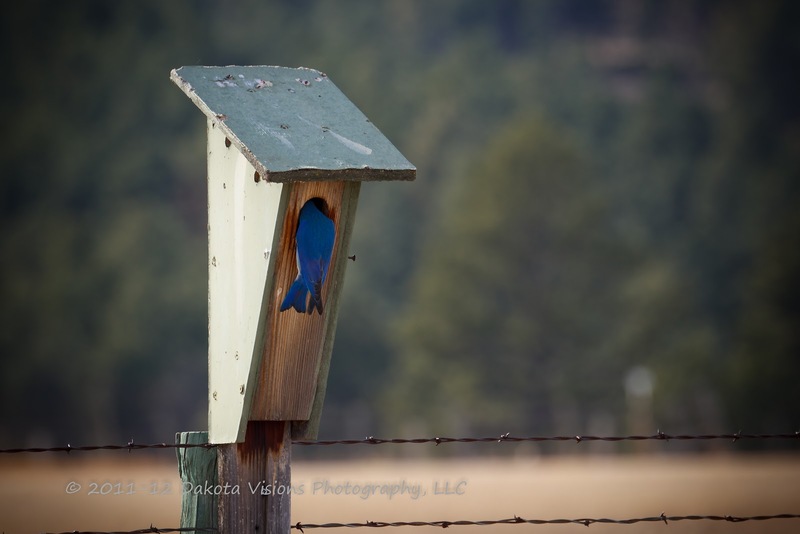 Each year, the park ensures that there are plenty of nesting boxes made by volunteers and park staff available for the bluebirds. 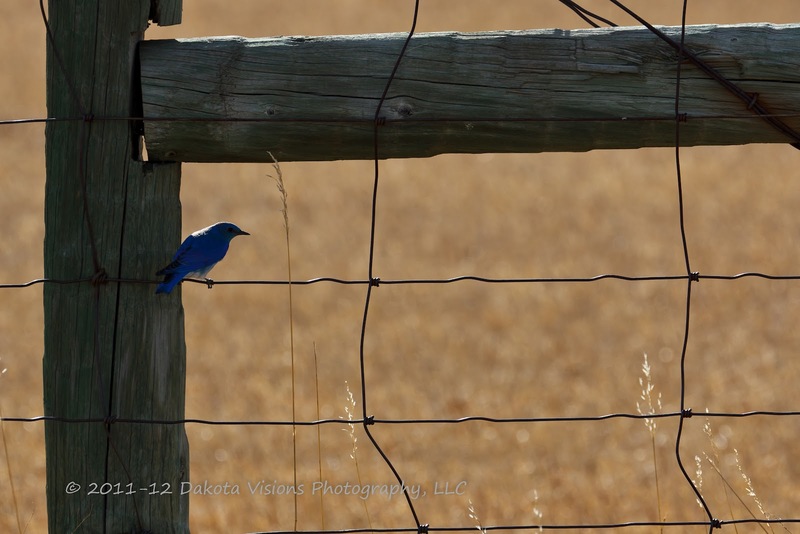 Along the fenceline of the airport in Custer State Park, keep a watchful eye out for the bluebirds. 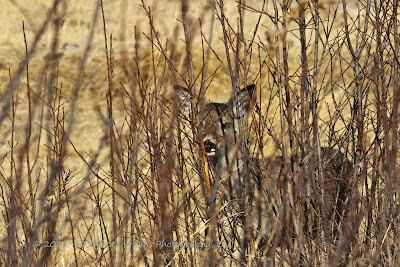 We have also seen them in the open prairie along the western entrance to the Wildlife Loop Road. Male: An overall sky blue bird with a darker blue head, back, wings & tail and white lower belly. Thin black bill. Female: similar to the male, but paler with a nearly gray head and chest and a whitish belly. 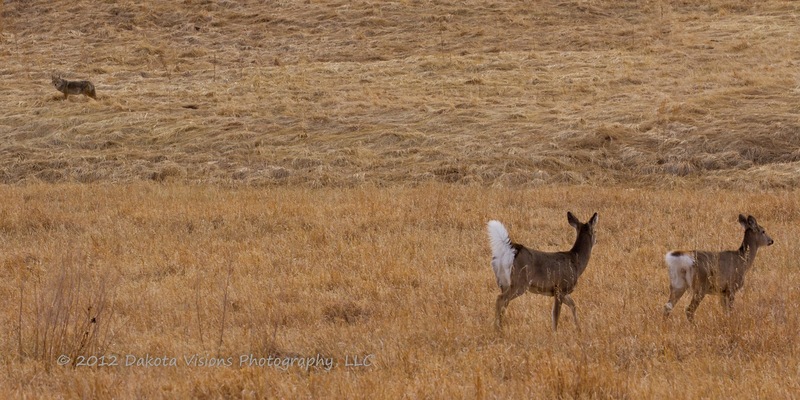 Common in open country, nesting in the western Dakotas. Due to conservation of suitable nest sites (dead trees with cavities and man-made nesting boxes), populations have increased dramatically over the past 50 years. 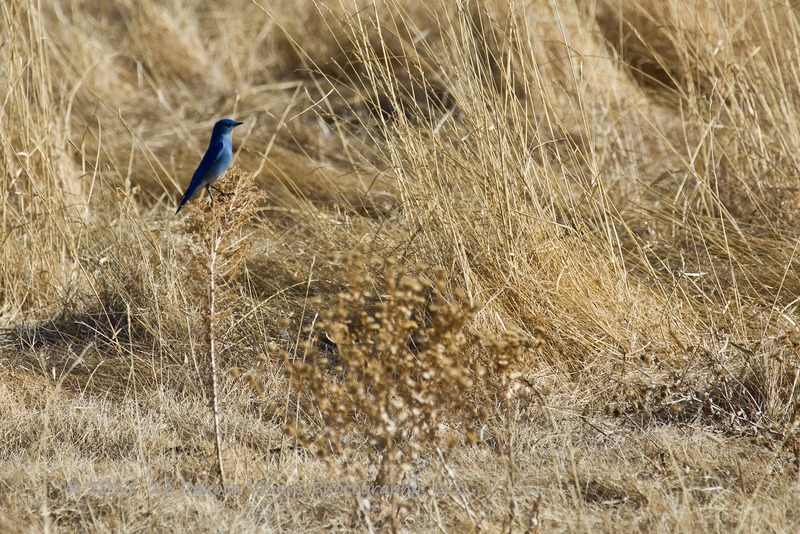 Like other bluebirds, Mountain Bluebirds take well to nesting boxes and tolerate close contact with humans. Young will imprint on their first nesting box or cavity, then choose a similar type of box or cavity throughout the rest of life. 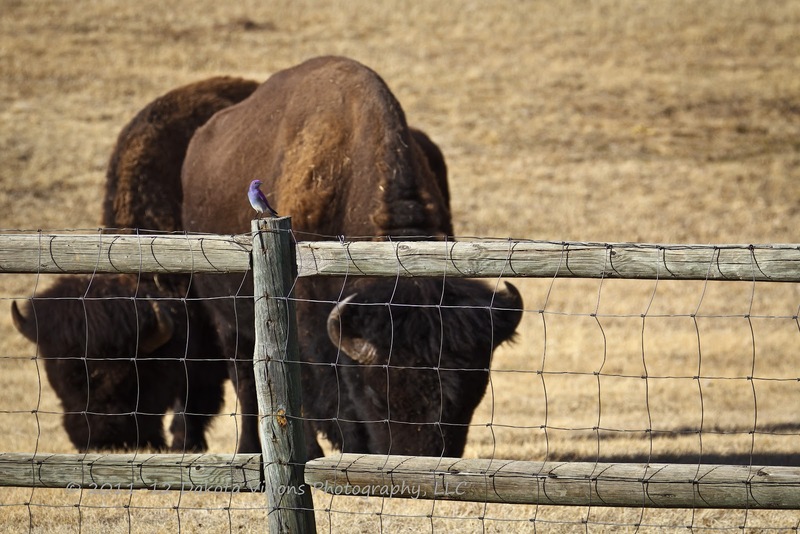 As you can see from the picture above, they tolerate close contact with buffalo as well! We hope you enjoyed this touch of spring and think about the bird population in your neck of the woods. Beautiful bird photography takes practice. And don't forget, we discussed Bird Photography: Opportunities to Overcome - 5 Tips in a previous post. 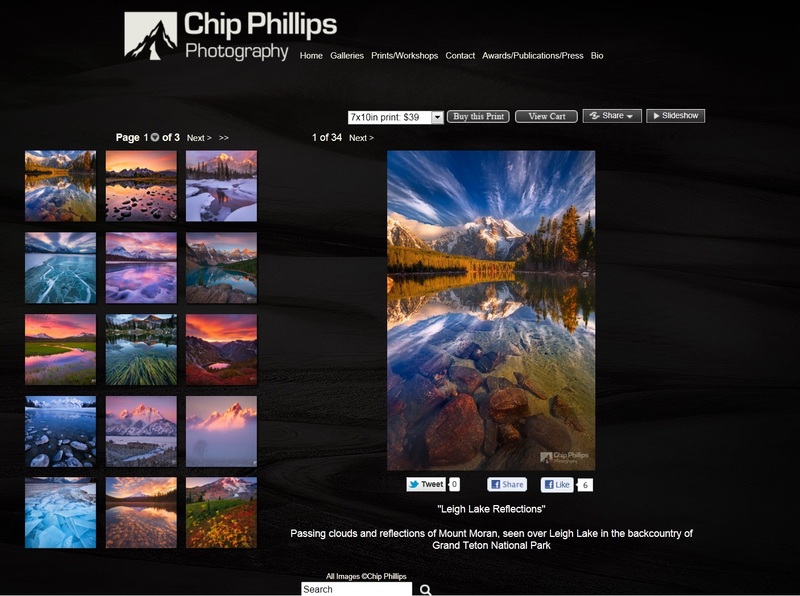 We have thoroughly enjoyed perusing through Chip's galleries online. We especially like his 'Frozen Pond, Jasper, Alberta' in the Intimate Scenes gallery and 'Leigh Lake Reflections' in the Mountains and Lakes gallery. Chip also offers one-on-one workshops, and holds a 20 year teaching background to go along with his extraordinary photography. $300 for a one-on-one, one-day workshop in the Palouse region of the Pacific Northwest is a bargain if your work comes out even at half of the quality that Chip is producing! "Learning the Light, developing our photography" is the banner on this photography blog, but it means so much more. 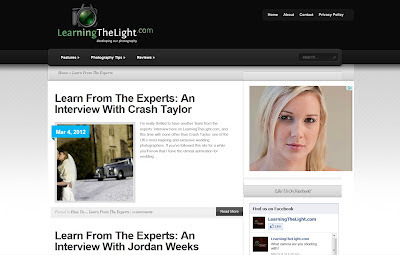 Learning the Light has integrated guest posts, collection photographs & how they were taken, how-to tutorials, and random photographs into a very eclectic and informative site. They also include information on competitions, gear reviews, and "How I Got the Shot" tutorials. While some of the expert interviews tend to focus on wedding photography, there are still great learning opportunities on this blog. We hope you'll find something that can increase your knowledge base, and hook you into coming back to Learning the Light! Subscribe to See you behind the lens...! This week's photography challenge alphabet letter was 'J'. We are going to go with 'Jump' & 'Just because...' (Hey now, it's our challenge and we can bend the rules when we want to!) 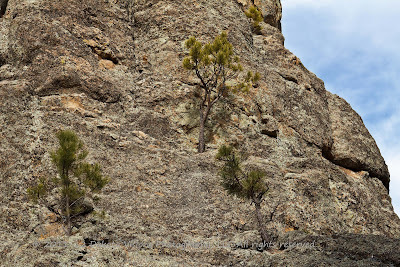 We just got back from a four hour excursion through the Black Hills of South Dakota that included hiking 3 miles with our camera. We were originally thinking 'J' is for John Deere, juniper, or something in a junkyard. But our day out for a hike turned into a four hour trip through heaven and we just had to share it with you. 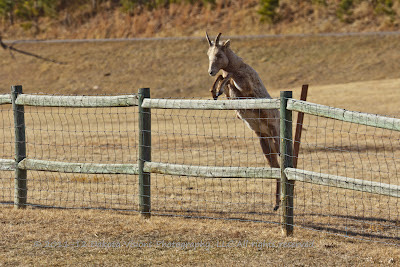 Let's start with 'Jump'... We saw this gal trying to get across the fence and quick grabbed the camera. To our dismay, she didn't think she could make it - so she fiddled for a while, but then...jump! Luck o'the Irish! Rocky Mountain Big Horn Sheep ewe jumping a fence. Just amazing...life from pure rock. The Mountain Bluebirds are here - it must be spring! Give us a like on Facebook and make sure you sign up for our feed so you don't miss a beat. If you have photography you want to share in the weekly challenge for the letter 'J', put a link to your gallery or photograph in the comment box below. In Part I of this series, we looked at a brief history, discussed basic equipment needed, and provided a brief overview of software options for HDR processing. In Part II of this series, we'll look within the inner sanctum of Photomatix Pro , our HDR processing software of choice. Stay tuned for Part III were we will walk through the workflow of the shot that is used as our blog banner this month - 'Photo Finish - HDR'. The first step to getting started in Photomatix Pro is to set up your general preferences found under the 'View- Preferences' drop downs. The General tab contains the two most important preferences which should be checked, "At start-up: Show Workflow Shortcuts" & "Start Tone Mapping with Settings of Previous Session". The Workflow Shortcuts make loading bracketed photographs so much easier (if you don't use the Lightroom or Photoshop plug-ins) while the Start Tone Mapping with Settings of Previous Sessions holds your tone mapping settings from the previous HDR photograph. When doing panos this is an invaluable setting so that all photographs are processed using the same tone mapping settings. Strength - The higher the setting, the more of an exaggerated HDR effect you get. The lower the setting, the more natural looking image you receive. We normally start out at about the 80-85 range. Color Saturation - Remember when you would see your mother's recipe and it said - 'salt to taste'? In most cases, this is one you can adjust to taste. The higher the setting - the more color saturation in your final product. Luminosity - Settings over zero increase the overall brightness of the HDR image. Gamma or smoothing can be used to counteract the luminosity setting. Detail Contrast - Moving the slider to the right from 0.0 increases the contrast of details and gives a sharper look to the image. This also causes a darkening effect to the image. Lighting Adjustments - The slider tool allows control of the overall 'look' of the lighting in the image. Moving the control slider to the right can make the image look more natural. In choosing a preset, like 'Painterly' will give a highlight effect of 'Medium' which increases the HDR-look. Smooth Highlights - This control reduces contrast enhancements in the highlights. This should be set to at least 25-50 to help preserve uniform blue skies and reduce halos around objects placed against brightly colored backgrounds. White and Black Points - We normally reset these to the first mark for both White & Black to have a small amount of pure white and pure black in the image. From there, to increase contrast, rather than using the microcontrast or detail contrast buttons which introduce some graininess, we increase these points equally. We also choose to perform a lot of our contrast work during postprocessing. Gamma - This is a global brightness setting. Usually, one stays within the .85 - 1.15 settings. Temperature - Here a higher setting is warmer and lower setting is cooler. Micro-smoothing - Smooths the enhancement of small details and has the overall effect of reducing noise in the sky for instance, and gives a more natural look to the resulting image. Saturation Highlights/Saturation Shadows - If the color is a bit over exaggerated, you can tone it down with one of these sliders. Highlight Smoothness/Shadow Smoothness - These settings are incredibly useful to smooth out the grain in broad areas - such as skies in outdoor landscapes. Shadow Clipping - We rarely use this setting, but it can be used to blacken shadow areas. Our choice is to handle this in post-processing. 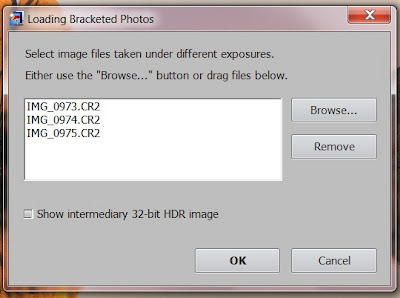 After loading the bracketed photos, the 'Preprocessing Options' dialogue box will appear. Our preferred settings are found in the photo below. The 'Remove ghosts' tool is one area where artistic interpretation can be used. If you do not have any moving objects or used a tripod as recommended in your bracketed photos, you do not need to worry about setting this check box. 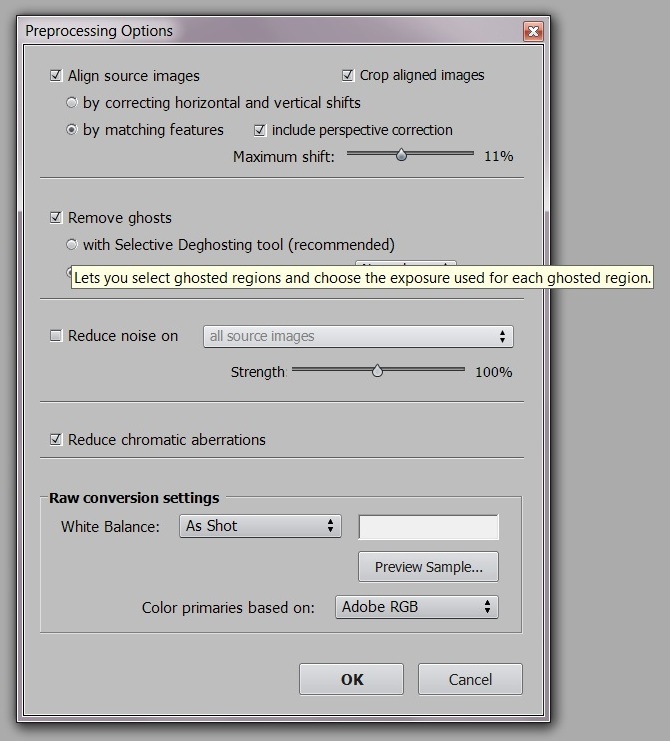 If you have moving objects and want to control their 'ghosting' between the bracketed frames, then you can choose this tool. When everything is set and you press the 'OK' button, remember that there is a lot of mathematical calculations going on, so it's not uncommon for the generation phase to take as long as a few minutes depending upon your computing power. At this point, select the 'Tone Mapping' in the Adjustments window. When the Tone Mapping Settings box opens, make sure the the Details Enhancer drop down is selected and not the Tone Compressor setting. We will focus all future lessons on Details Enhancer settings. To start fresh and learn how the settings affect your photographs, press the 'Reset: Default' button. When you are completed with your HDR settings, click on the 'Process' button to finalize your image. We hope you enjoyed this walk-through of Photomatix Pro software, and encourage you to try Photomatix Pro today. 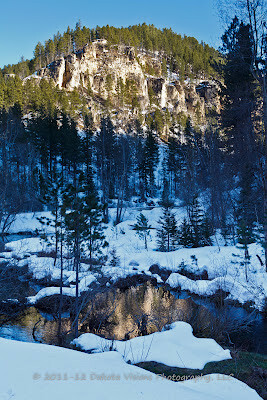 Stay tuned for Part III of this series where we will walk through a step-by-step workflow of creating an HDR image. Don't forget to sign up for our feed or 'Like' us on Facebook to stay updated on our newest blog posts. We encourage you to share this via the social media share tools below or leaving a comment in the comments box. T4T: Two for Tuesday - NEW feature! We are launching a new feature called Two for Tuesday, or T4T for short! We will be featuring two websites on Tuesday that we think you should spend some time getting to know. Check out their link, and don't forget to stop back as they add new work. We think they are doing some pretty amazing things! We'll feature one website that is a portfolio/gallery type website with amazing pictures that we think capture the essence of photography. For the second website, we'll feature a blog that may be just getting started with some amazing photography, has some great tips & tutorials, or we think just has a good slant on the world of photography. 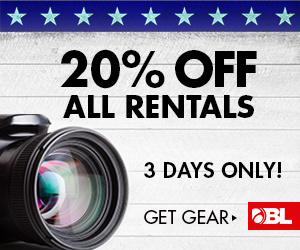 No long list of websites - just good photography that you can focus on. Featuring landscape and nature photos from their travels, this Orange County couple has really caught our eye. They state, "photography is an art of observation and it's about finding something interesting in an ordinary place" and then they turn it into an amazing piece of art. We especially enjoyed Phuong's landscape gallery. Well, that's how this is going to work. We'll give you a few hints about some great sites to stop by and we'll hope you take the chance to link to them, give them a like, or just write a comment on something that you saw that stopped you in your tracks. Stay tuned for our new feature, Two for Tuesday (T4T)! Coming up this Tuesday we will feature one artist's gallery/portfolio that we think is worthy of watching and one photography blog we feel is worth subscribing to. If you want to be featured in our T4T articles, just send us a note on our website Contact page with specifics on your portfolio website or photography blog. 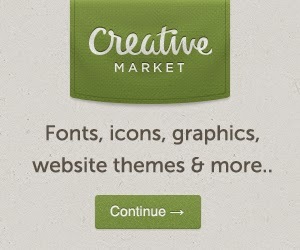 Also, please provide your permission to take a screen shot of your website to place on our blog. If you have a watermarked photograph that you would like us to use (perhaps a collage you use for your own social media), give us a heads up and we'll let you know how to get it to us. 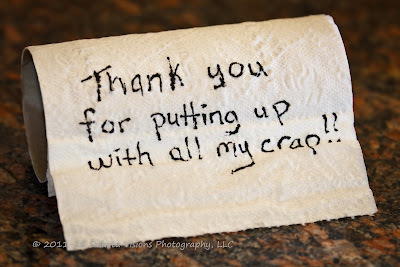 Thanks and stay tuned for the new post this Tuesday and featured article coming this Thursday! Since we have found our inner Pinterest self, we decided to take a different route this week. That's what a photography challenge is all about, right?! 'I' is for inspirational quotes this week. Stock photography, branding of a company, or the viral reach of social marketing - these are all reasons to get involved with inspirational quote photography. We took a couple of different shots at it. 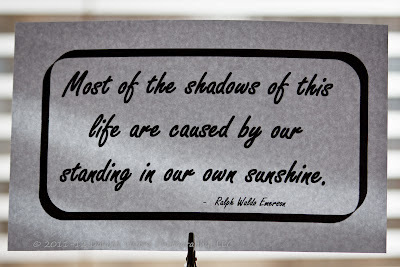 We used both photography that we took this week and used lighter gradient fills or different Photoshop presets to allow for the placement of the quotes. 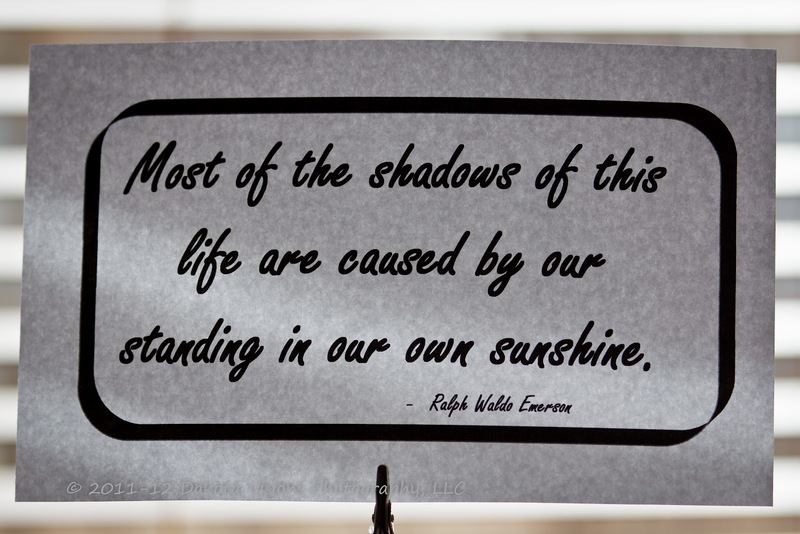 And we also shot the quotes directly on display media. 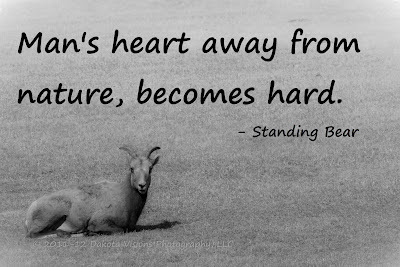 We hope you enjoy, and provide links of your own great inspirational quote photography in the comments below. 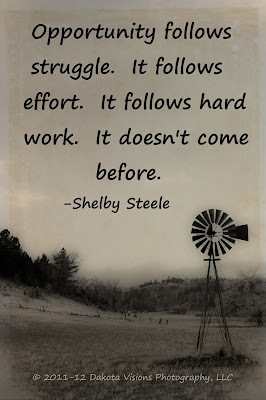 Use the Pinterest button on the upper right sidebar to pass these quotes along or the Facebook 'Like' below this article. But most of all, have some fun and enjoy. "Life is like a good black and white photograph, there's black, there's white, and lots of shades in between." Over the next few months, we'll take a journey together, looking into the nooks and crannies of High Dynamic Range (HDR) photography. It seems like everyone is generating HDR images because it only takes a few clicks on photo sites such as Flickr, Picasa, Smugmug, and so on to find an HDR image. In Part I of this series, we'll look at a brief history, discuss basic equipment needed, and a brief overview of the available software. Did you know that HDR is not new? Gustave Le Gray combined two negatives, one for the sky and a longer exposure for the sea, to create a single image in 1850. In the 1930's and 1940's Charles Wyckoff implemented the HDR imaging we use today using tone remapping to combine differently exposed film layers into a single image. His famous, detailed photographs of nuclear explosions were featured on the front cover of Life magazine. Manual tone-mapping became popular with artists like Ansel Adams where they could selectively increase or decrease the exposure of regions of a photograph to yield better tone reproduction. 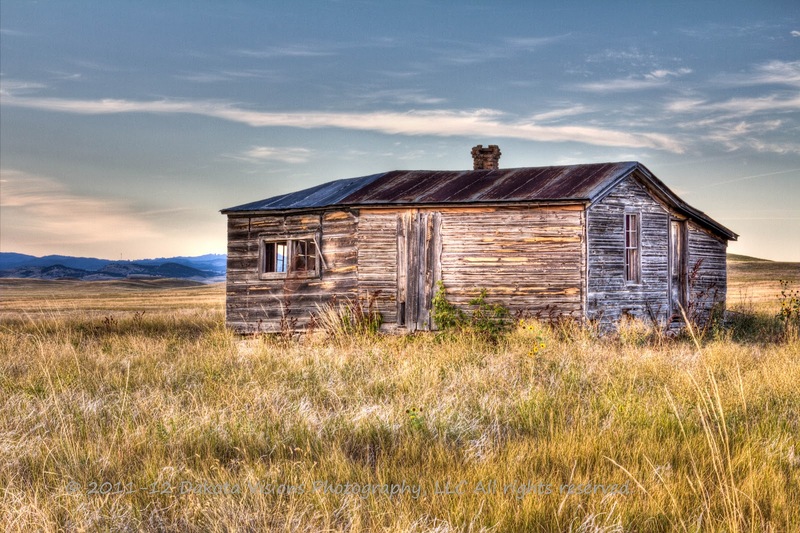 The gist of this history lesson is that HDR photography has gained a permament place and an increasing following in modern digital photography. Learning HDR technique, workflows, and understanding its proper blend into the future of photography - the easier it will be to adapt to it, implement it into your own workflow in desired situations, and create images that used to reside only in our mind's eye. Tripod, tripod head, and cable/wireless release. Spend some money and get a good, stable tripod and secure head. This can sometimes cost as much as a good quality lens but the stability will only help with the sharpness of the the multiple images. Whether you use the self-timer on your camera or a cable/wireless release, maximum sharpness will be increased. (Optional) Panning head. 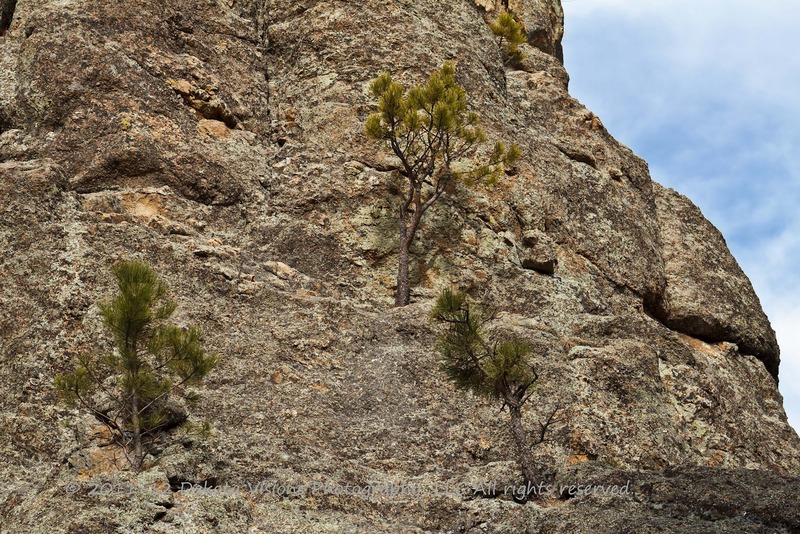 For HDR panoramic images, a panning head or leveling head is a non-optional piece of equipment. Maintaining exact leveling as the camera turns is the main need but also for keeping an exact coordination of images through the process. Camera. No, you won't get a Nikon vs Canon argument here - just the minimum recommendations. Software. 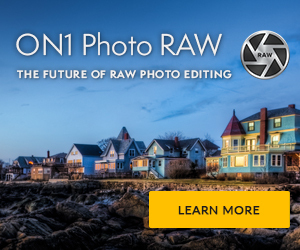 In order to create the higest quality HDR photography, you'll need a RAW processing software including Adobe Photoshop Lightroom 3 , Aperture 3 , or Adobe Photoshop CS5 - and an HDR processing program. 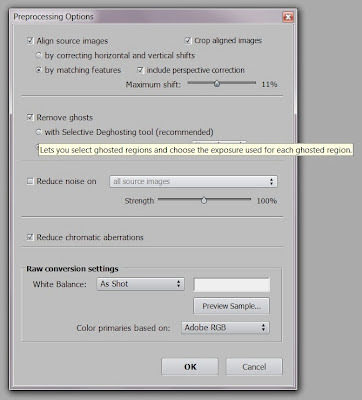 You can achieve lower quality results by running your .JPEG images through the HDR processing software. Let's take a look at what software is available for use starting with the two industry standards, Photomatix Pro and HDR Efex Pro. Photomatix Pro is a photographic software developed by HDRsoft for Mac OS X and Microsoft Windows. It is designed primarily to make the process of merging multiple photographs into high dynamic range images and then locally tone-mapping them back to LDR images, easier and more streamlined than most of its competitors. It's strengths are an easy to use interface, an intuitive workflow, and it works extremely well in outdoor daytime HDR photographs. Photomatix Pro can be used as a standalone program or integrated into Lightroom/Photoshop which produces strong results and a solid workflow. One key point for the photographer that plans to shoot large shoots with many exposures, Photomatix Pro has a batch processing feature that allows you to merge multiple sets of HDR into 32-bit images automatically allowing you to proceed with other work while processing. One let down of Photomatix Pro is the blue tint introduced from streaming outdoor light in indoor shots. 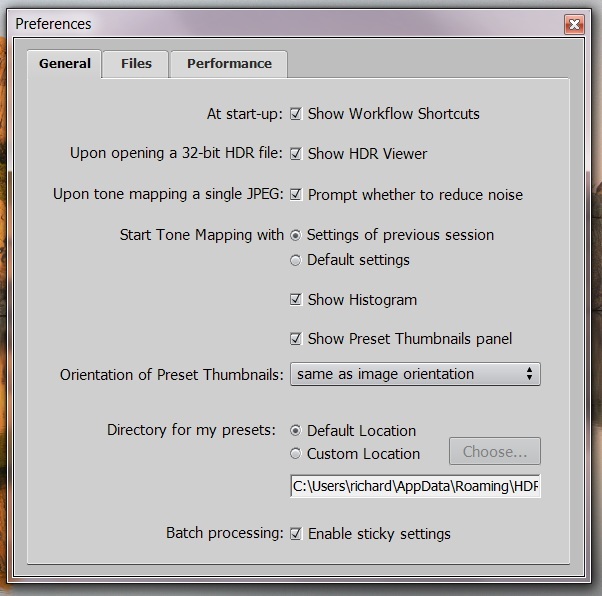 HDR Efex Pro has the same intuitive and easy to use interfaces that most Nik softaware provides. While Photomatix Pro has a small number of presets available, Efex Pro introduces a great variety including many natural looking presets. Nik's patented 'U Point Technology' is a strong point for when you want to fine tune small areas of the image. 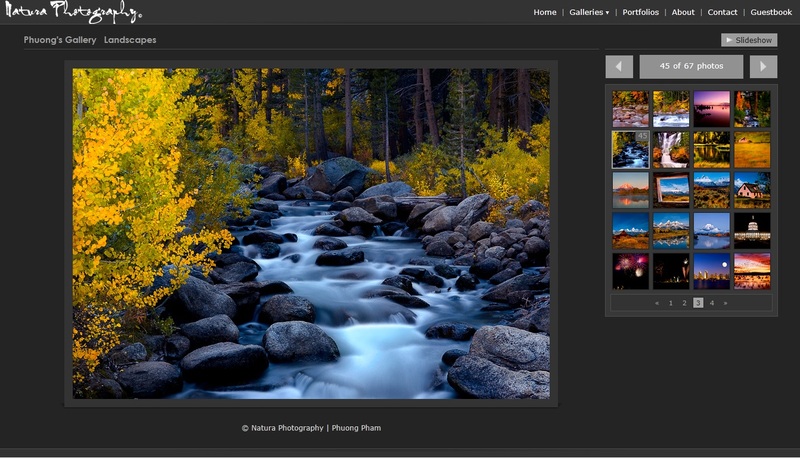 One con that we would list is the color of outdoor photographs from Photomatix Pro outshines Efex Pro. While Adobe Photoshop CS5 has introduced some basic HDR features, it's main strength is fine-tuning the images after having completed tone-mapping in other HDR software. Lightroom, Photoshop, or other software are key components to the workflow of HDR photography including sharpening, blemish removal, and any heal/cloning work. 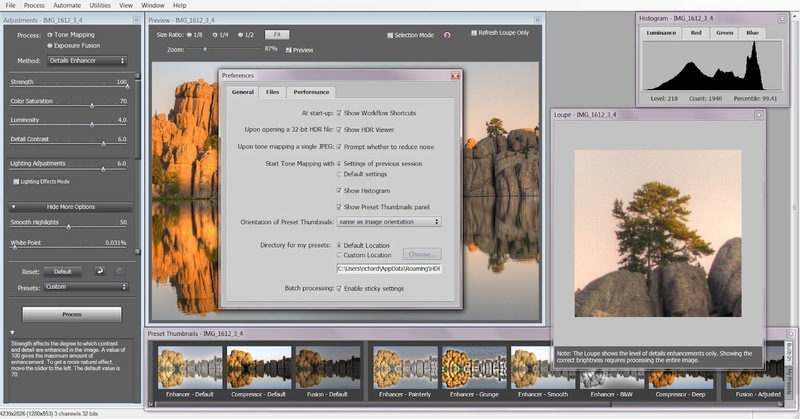 Fhotoroom is a Windows only HDR program that excels when used for indoor HDR photography. The step-by-step intuitive workflow found in the other recommended products is not available with Artizen. One other major note is that Artizen keeps most of the EXIF data intact compared to the other HDR software programs. I would not recommend Artizen to those just beginning in HDR photography. While there are other speciality software available for HDR photography, the ones listed above are the mainstay for most delving into the realm of HDR photography. Stay tuned for our next installment of HDR photography posts where we will cover Photomatix Pro's workflow and suggested settings. We hope you take a peek at some of our HDR photography on the Dakota Visions Photography, LLC website! If you have any great HDR photographs to share, please place them in the comments below. We are glad to help you spread your photography. Also, if you have enjoyed this article, please pass it along via your social media of choice. Join our blog by providing your email at the upper right hand corner of the blog or signing up for our RSS/Atom feeds.